There is a great demand of WebSphere MQ online training among today’s young crowd. MQ is mainly used in e-mail and it is related to data processing. In our WebSphere MQ training, our trainers will explain all the important topics for our learners that they can grasp the concepts properly. In our WebSphere MQ online training course content, we have a topic related to message queuing. Here our expert trainer will teach you the areas where a business or an enterprise can face challenges when it is developing IT solutions. For this message queuing concept is introduced to overcome these kinds of challenges. Software applications which aredeveloped by an enterprise to offer and request services need for the communicationwith the present services provided by the system. These services exist in the nodes within the system, where different nodes might be built using different structure components and different technologies. 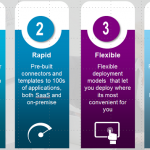 Here the middleware technologies offer a layer of abstraction between different infrastructure components and it also providesapplication which accesses those components to provide services. This became a common layer to bridge the nodes of the system. It also can simplify development and also the maintenance of application hosting or request service. 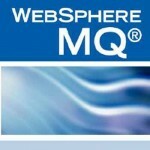 We are going to commencing a new batch on WebSphere MQ online training for MQ aspirants. To know more about our WebSphere MQ training and free demo classes register your name or email us bigclasses.com.